This guide is available to download as a free PDF. Download Skype Shortcuts now. Feel free to copy and share this with your friends and family. As you probably know, Skype is one of the most popular online chat tools out there. Most of us use Skype rather a lot. 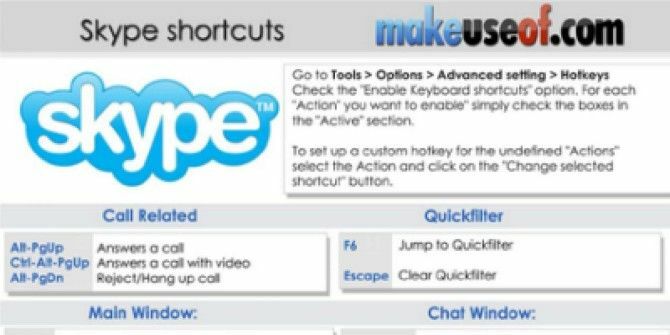 This cheat sheet outlines some of the most useful shortcuts and features (like hidden emoticons) available on Skype. These little shortcuts will help you save time, manage conversations better and generally improve your Skype experience. Enjoy!